“It really seems as though it is necessary for us to destroy some other thing or person in order not to destroy ourselves, in order to guard against the impulsion to self- destruction.”– Sigmund Freud, New Introductory Lectures to Psychoanalysis. “Symbols are needed to overcome the loss of the object which has been experienced and accepted and to protect the object from one’s aggressiveness, A symbol is like a precipitate of the mourning for the object”. – Hanna Segal, Dream, Phantasy and Art. 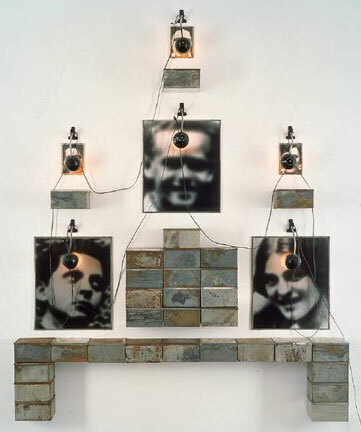 In this piece Boltanski extracted and manipulated images from an original source school photograph of the graduating class of 1931 from a Viennese high school for Jewish students. 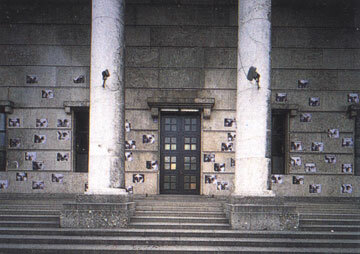 Gymasium Chases, 1991, exhibited prints. 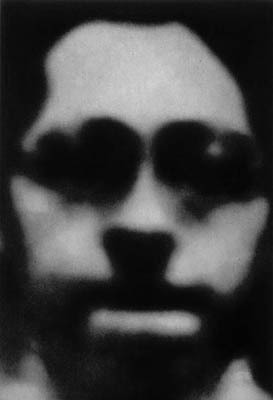 “ I am neither subject nor object but a subject who feels he is becoming an object: I then experience a microversion of death (of parenthesis): I am truly becoming a spectre”. 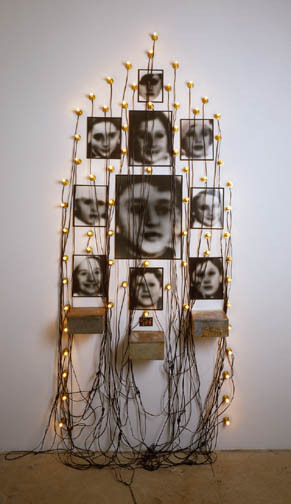 11 photographs, 3 tin biscuit boxes, 68 lightbulbs, glass, and electrical cords. "I began to work as an artist when I began to be an adult, when I understood that my childhood was finished, and was dead. I think we all have somebody who is dead inside of us. A dead child. I remember the Little Christian that is dead inside me". 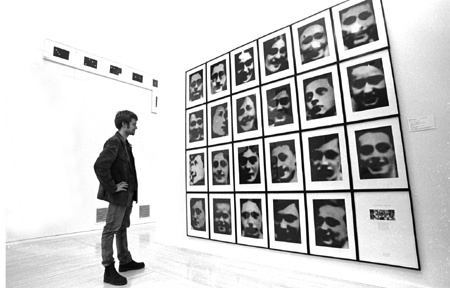 "What drives me as an artist is that I think everyone is unique, yet everyone disappears so quickly. 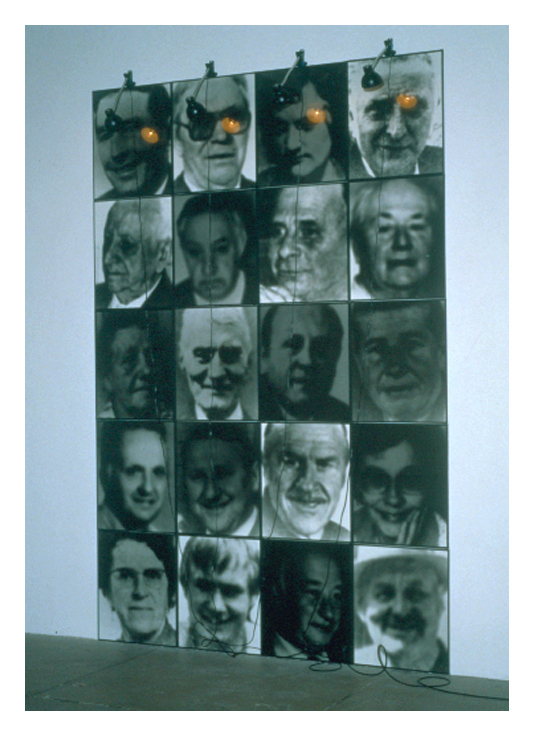 I made a large work called The Reserve of Dead Swiss (1990) and all the people in photographs in the work are dead. We hate to see the dead, yet we love them, we appreciate them. Human. That’s all we can say. 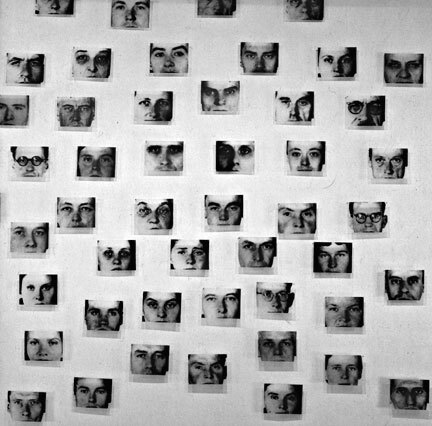 Everyone is unique and important. But I like something Napoleon said when he saw many of his dead soldiers on a battlefield: “Oh, no problem – one night of love in Paris and you can replace everybody". 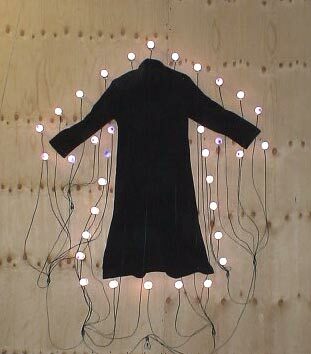 - “From The “Reference Vitirines” onwards, all of Boltanski’s work operates through accumulation and recycling…. He represents life as a series of successive deaths, a permanent mourning for the self, for the child the child that one has ceased to be and to whom one is forever erecting memorial plaques, but also for the person one ceases to be the moment one begins to talk about him”. 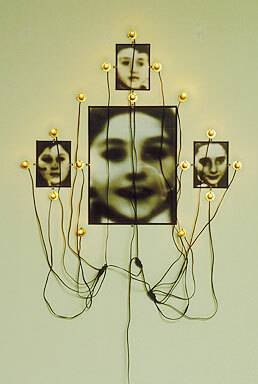 - “Knowing whether an image is true or not, what distance separates the model from the copy, whether the image is an image of death or life, these are among the most fundamental questions posed by the artists of the twentieth century… Boltanski poses them in a way very close to their original incandescence. In particular, he does this by working on the permeable boundary between the icon and the idol, between the images that are venerated and those that are looked at”. - “In the vocabulary of psychoanalysis, the word phantom is used for those family secrets whose pain is passed down from generation to generation without necessarily being made explicit in words”. 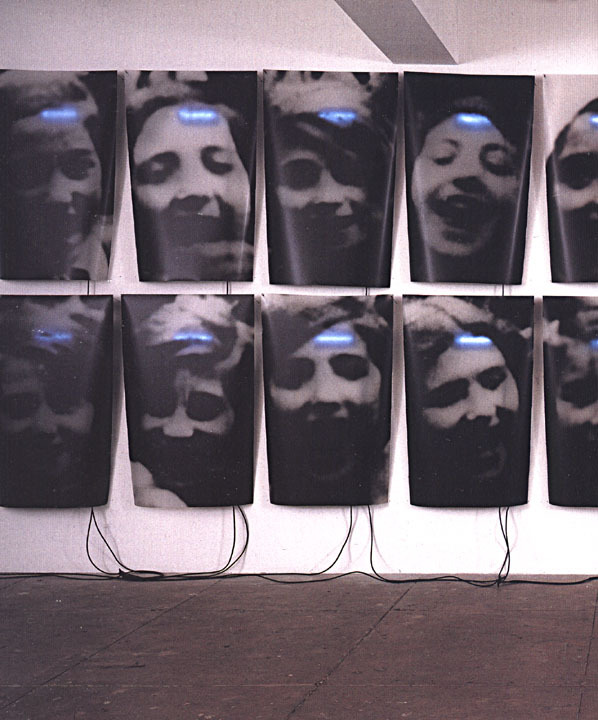 Didier Smith, Christian Boltanski, Phaidon 1997. - “Mourning involves an unconscious fantasy of resurrection as well as a conscious if reluctant acknowledgment of loss”. 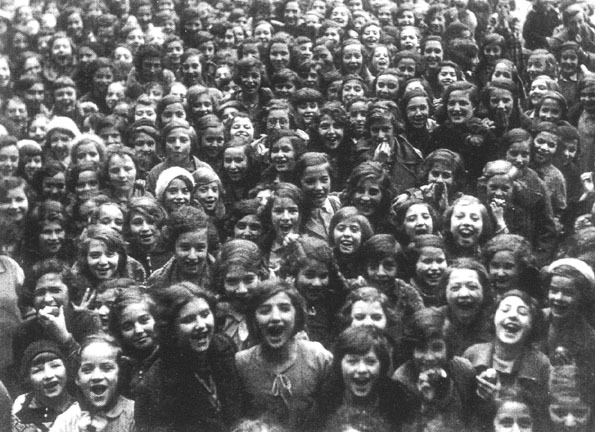 "I was born at the end of World War II: my 'hidden' father during the war, the discovery of the Holocaust, my anxiety about my father's desperation, these are all elements that moulded me ... 'Odessa's Ghosts' allows me to celebrate my personal stories - we have to entertain the dead."